In a recent webinar, “The Open, Instant Payments Market in Europe – Are You Riding the Wave?”, leading immediate payments experts from BNY Mellon, Rabobank, STET and ACI Worldwide discussed the challenges and opportunity surrounding real-time payments. Escalating customer expectations, regulatory requirements and technological developments are fuelling the need for instant payments. Market providers agree that real-time payments will be the “new normal” and, it’s not a matter of if, it’s a matter of when. Just a few years ago, discussions were focused on educating the market about the purpose and benefits of real-time payments. Today’s conversation is focused on addressing the business impact of immediate payments for banks and payment service providers. Concern surrounds both the short-term, with approaching timelines for implementation, and the long-term, with banks facing the impact on back-office processes, legacy infrastructure and how to retain customers by remaining competitive and relevant. Speed – customer demand for immediacy requires end-to-end transaction times similar to, or better than, the fastest current transaction type. Banks are already proactively driving down times ahead of real-time implementation to meet customer expectation. Low predictability – unpredictable volume makes banks hesitant to move forward given added infrastructure costs. Reachability – while most payments are still made locally, as the market drives for ubiquity, banks are faced with higher overhead, complexity, and potential risk with each CSM implementation. Because real-time payments require a different infrastructure model than what may exist today, banks are facing key implementation questions. Traditionally, banks have opted to handle development in-house, but with exponential overhead in an already costly business, banks are looking to the market for innovative solutions. When fintechs and start-ups entered the market, they were viewed as pure competition by banks. As the market continued to evolve, customer perception separated the two with fintechs and start-ups perceived as agile and innovative compared to the less agile, but more stable and experienced banks. From a competitive standpoint this differentiation signaled a significant choice in how customers aligned their business needs with solution providers. Customers faced prioritising and potentially sacrificing an important part of the solution – agility and innovation or expertise and stability. Today, real-time payments are having a transformative impact on the competitive and collaborative landscape. Market providers – banks, payment service providers, fintechs, start-ups and CSMs – are re-thinking relationships to achieve ubiquity through partnership, by leveraging respective strengths to achieve that goal. The benefits of collaboration seem apparent, but may not be for everyone. Larger banks may opt to rearchitect their infrastructure internally for the long-term vision of the real-time world rather than solving the need through collaboration. It’s difficult to anticipate specific future products and services that will materialize, but everyone agrees there will be no shortage of opportunity such as cost savings through auto-reconciliation by leveraging ISO 20022 transaction data, greater negotiation of vendor discounts for real-time payment versus payments based on delivery schedule, and positioning retailers to offer special products or services or loyalty points because they know a customer is currently in store. And beyond the growing use cases, institutions must consider that customer experience is increasingly finding more air coverage in revenue strategy. The emergence of open banking trends, cross-border payments, Request for Pay and proxy services are raising the competitive bar. Those who evolve and drive real-time innovations will succeed with customer wins and those who don’t will struggle to compete. Join ACI for an overview of the real-time payment services platform landscape. Craig Ramsey, director of product management, transaction banking and immediate payments, will take an in-depth look at gpi, real-time payments, open APIs, blockchain, new revenue demands and non-functional requirements. This article is also featured in the Daily News at Sibos 2017 – Day 2 edition. Click here to read the issue online or pick up a print copy if you are at the conference! The digital and print editions are free. Large retail banks sometimes find it hard to change because they have assimilated many smaller banks through acquisition, each of which is running on a payments engine that has different features and may be very old. That can make it difficult to offer new services, but there is a solution according to Paul Thomalla, head of EMEA at US-based payments and technology firm ACI Worldwide. ABN Amro has turned to Italian paytech vendor SIA for instant payments access. Rabobank is implementing ACI Worldwide’s UP Immediate Payments solution to support SEPA instant payments. 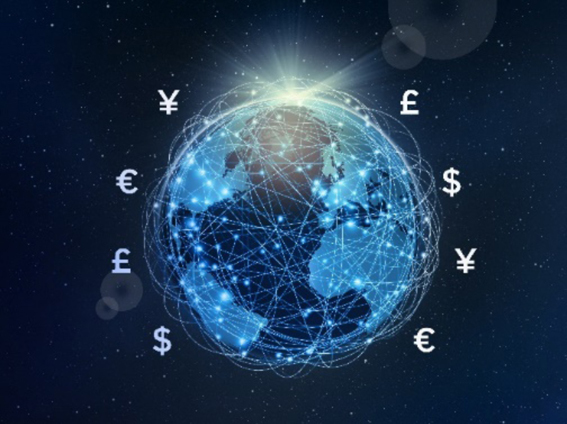 Banking Technology, ACI Worldwide and Nets have joined forces to survey the global market about the highs and lows of its current journey towards real-time payments. From individual institutions’ readiness to key market drivers, obstacles and fraud concerns, and everything in between – survey participants from across the globe share their views. Isabelle Olivier, Head of Securities Initiatives & PMIs EMEA, Swift, talks about the challenges for Instant Payments in Europe and the recipes for success. The real-time payments project was completed in nine months.